Dreamcatcher are setting out on a new adventure. In preparation of their upcoming Japan debut, Dreamcatcher have left from Gimpo airport to come to Japan. 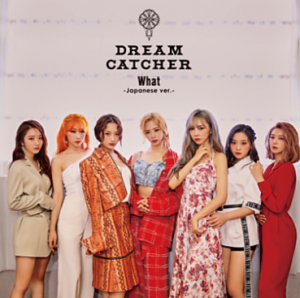 In relation to their company HappyFace Entertainment, Dreamcatcher have announced their debut single to release on Sunday, November 21st. It is the title song “What from their Korean 3rd mini album “Alone In The City” in Japanese. Along with their concerts in Tokyo and Osaka and their special events they are preparing, they are also getting involved with Japanese media doing interviews. At the start of their world tour, when they announced their new single they had a good reaction from the Japanese fans. After this debut, we look forward to what they can show us next. KBS 2TV entertainment music program will show a ‘top 10 pop songs’ special for ‘Immortal Songs – sing a legendary song’ (hereafter ‘Immortal Songs’). According to the broadcast on the 14th of October, the recording on the 15th of October for ‘Immortal Songs’ that will take place in the new KBS Open Hall in Seoul, Yeongdeungpogu, Yeoeuidodong, is planned to be adjusted to a ‘Top 10 pop songs in November first place special’. ‘Top 10 pop songs’, which was broadcasted for 18 years from 1981 to 1998, is ‘Music Bank’s predecessor as KBS 2TV’s representative song ranking program. Autumn songs from November in 1980 to 1990, that had received a lot of love, are expected to be reinterpreted by the voices of popular singers that appear on ‘Immortal Songs’. It is expected to bring back nostalgia for the fans that remember the music of these times. This time, Lee Sejoon, V.O.S, Ben, MONNI, South Club and Dreamcatcher are planned to appear as contestants in the glass box and compete in good faith on ‘Immortal Songs’. The broadcast is planned for the 27th of October. Q: I want to hear about the process of Dreamcatcher’s debut. A: Dreamcatcher members JiU, SuA, Siyeon, Yoohyeon and Dami promoted as the 5-member team MINX before. Gahyeon and Handong had not joined at that time. When we launched MINX, its style was similar to K-POP girl group styles then. The mainstream visual concept was cuteness, liveliness and innocence. There was also a concept of wearing uniforms, so we thought the right concept for MINX would be lively but it was too much of a ‘red ocean’ market then. The competition was too fierce so there was no results. While we did that concept, I could not see the light at all, so I seriously worried for a long time and then I finally decided to change the direction [of MINX]. I figured it was right to do a concept that nobody has done before. A girl group style which our country didn’t have before, it was decided we should do it again with a group concept that is not out before. During MINX’s promotions, all 5 members were receiving praises for ‘doing well’ during the debut promotions and have been friends for a long time ever since they were trainees. As such, I had the confidence that this group of friends were talented and able to do any concept. Q: What kind of style is Dreamcatcher going for? A: Dreamcatcher launching point is ‘let’s do what others didn’t do’. To make a distinct change, we added maknae Gahyeon and Chinese member Handong. Firstly, we decided on a dark concept and a non-mainstream music style. We were going for a slightly strong feel in the music, so it is different from girl crush. In terms of the genre, you could call it a pop metal style based on rock music. The main point would be on nightmares. Q: Can you give a rough estimate of Dreamcatcher’s influence in Japan? A: Honestly, I think right now it’s not vastly different from K-POP girl groups’ mainstream music. TWICE and Apink both display a cute, lively and innocent concept which I think is mainstream. 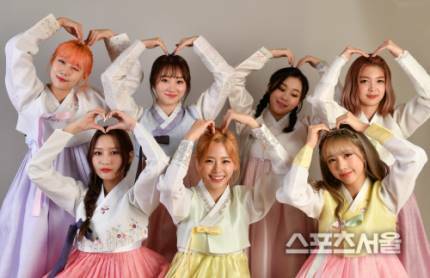 Through their activities, overseas fans seem to get used to the mainstream music, too, and Dreamcatcher’s music are somewhat non-mainstream in comparison so I think it seems to be more unfamiliar to these overseas fans too. 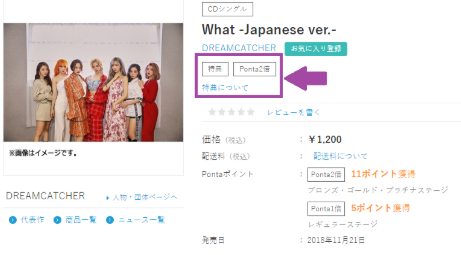 I also think that the Japanese fans have still yet to realise that Dreamcatcher’s music is non-mainstream here. So, we are working hard to promote as to make sure Dreamcatcher’s music style can become mainstream overseas too. 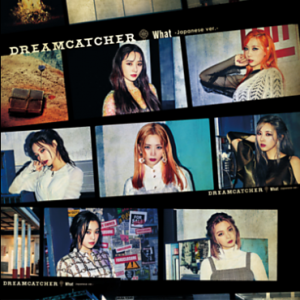 Dreamcatcher is preparing to make its official debut in Japan this coming November. Q: I’m curious about the reactions of Dreamcatcher’s other overseas fans outside of Japan, too. A: There were many successful shows which were already finished in South America and Europe. There are fans from Brazil, Colombia, Chile, Argentina, Peru, Portugal, Spain and more who really like Dreamcatcher’s music, so please do give Dreamcatcher all the support from all over the world and also do cheer a lot for them. Q: I would like to hear you briefly introduce about Dreamcatcher’s activities this time round. 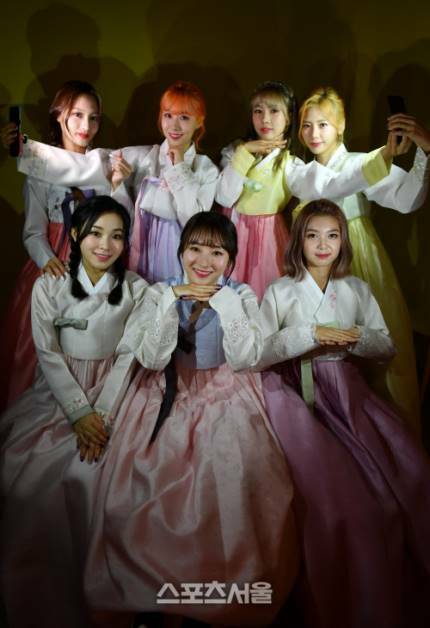 A: Until the previous album’s title track ‘You and I’, we presented one single fantasy story, with a concept and world view based on having nightmares, while I think I can say that in this time’s album, we escaped from the antique-style nightmare and express stress that we all get behind a modern-style background. It may be filled with some interesting parts. 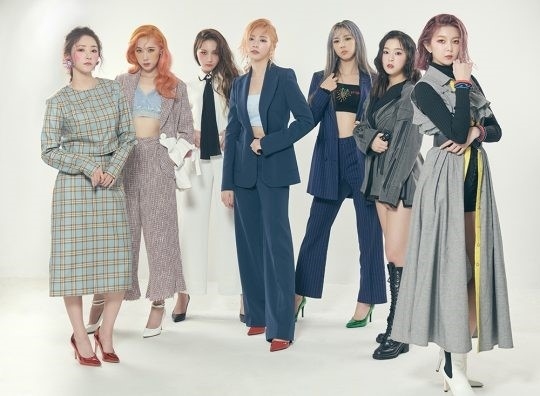 Through this album, Dreamcatcher has ended one chapter and is also writing a new chapter. My goal is to tell a story that everyone is able to sympathise and relate to. Of course, the characters we had since their debut until now will come out, and we will maintain the story. The music genre of Pop Metal style will remain the same but we picked up a more exciting style. [The music] will be a lot brighter than before, but I don’t think the feel of the music video will become much brighter. Haha. Q: What kind of girl group do you wish Dreamcatcher would be? A: Personally speaking… Dreamcatcher does many concerts. So I hope that they grow as a performance-oriented girl group. Speaking of a goal, I hope that they can become a girl group that can hold concerts at concert halls that can accommodate 20,000 people. Q: Do you still have any promoting idols other than Dreamcatcher? A: As of now, we are preparing the launch of a new boy group. Woo Jinyoung, who took first place on JTBC’s ‘MIXNINE’, will probably be included [in that group], and they are currently training with the goal of debuting in 2019.